How To Do Your Makeup In 2 Minutes – sounds crazy, right?! Wrong! Hey guys! My name is Lauren and I am the owner and operator of LA Page Makeup located in Meriden, CT. I offer my clients makeup applications including bridal, date night, lessons, and more, as well as lash lift and tints, facial waxing and eyebrow tinting. I teamed up with Alexandra Beauregard from The Productivity Zone to create a three part blog series on how to get your makeup on FAST so you can tackle the more important stuff in your day! If you know Alex, you know she’s BIG on getting ready in the morning, especially when you work from home – even if that means throwing on two pieces of makeup, sweats, and a ponytail. When Alex expressed how she’s always wanted to teach her fellow awesome female entrepreneurs how to put their faces on in just a few minutes, I was all in! This is my kind of stuff, since I’m constantly getting myself ready in mere minutes on the daily, not to mention having to move quickly from client to client during a real-life wedding morning. 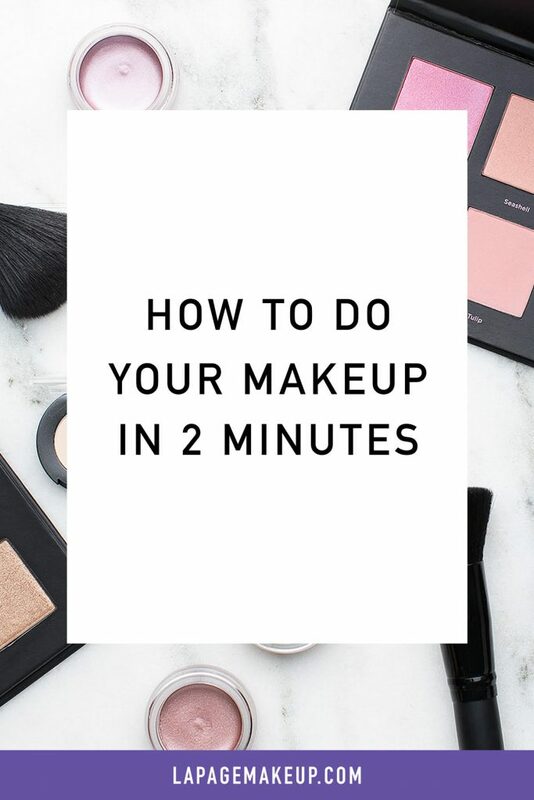 This blog series will consist of three blog posts – starting today with the 2 minute makeup tutorial. We’ll build up from there, so no worries! You’ll have time to practice this before we move onto 5 minutes and eventually 10 minutes for a full face. Yep, you read that right. Here’s a list of the items I used in the video, as well as some other awesome products in those categories to make your life a little easier. I know how overwhelming a makeup store can be as a beginner! Notice how you can still see some discoloration and redness from bumps on my forehead, since we only used concealer very quicky. My brows also aren’t sculpted to perfection, and my face isn’t warmed up from bronzer. These are all things we’ll touch upon in the upcoming tutorials. It was important we start with the absolute bare minimum and work our way up with baby steps first so you don’t get too overwhelmed and throw in the towel. Remember, this is your going-to-the-post-office look. It’s your dropping-the-kids-off-at-school look. It’s not anything elaborate or impressive by any means. I hope this helps you feel just a little more productive and comfortable in your own skin! Make sure to follow me @lapagemakeupofficial and Alexandra @theproductivityzone on Instagram and use hashtag #lipstickmakesmeproductive when you try this look so we can cheer you on! 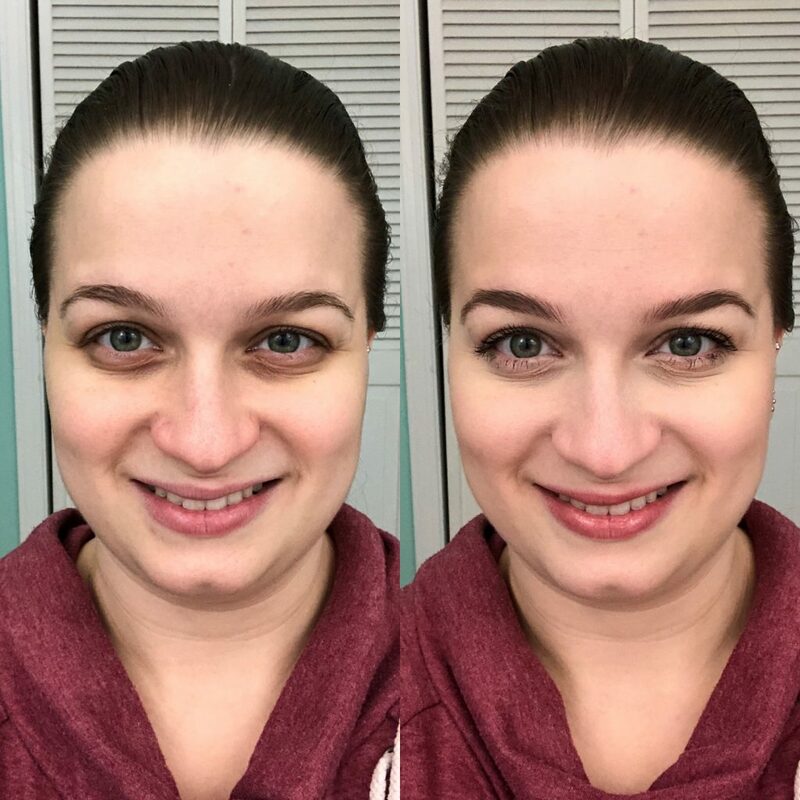 And when you’re done doing alllll of that – be sure to check out “How To Do Your Makeup in 5 Minutes” – the second part of this awesome three part series! *This post contains affiliate links, which means I make a small commission, at no extra cost to you, if you make a purchase using these links.